There was heavy rain today, evident by the pounding on our corrugated ‘skylight’ so we did not do as much gardening as we had hoped. We instead surveyed the beds to see what damage the recent snow and cold weather had caused. Everything seemed fine, the brassicas were ok. Some jobs for us to do next week include pruning the dormant fruit trees and bushes. In the studio, we took down the handmade Christmas decorations and made wall plaques from clay. The Heart Gardeners collected interesting plants and pressed them into clay – we will fire them in the kiln after leaving them to dry out slowly. Similar to the sample ceramics we made previously. We’ve recently found another ceramicist to use our kiln room for well…making all things ceramic. 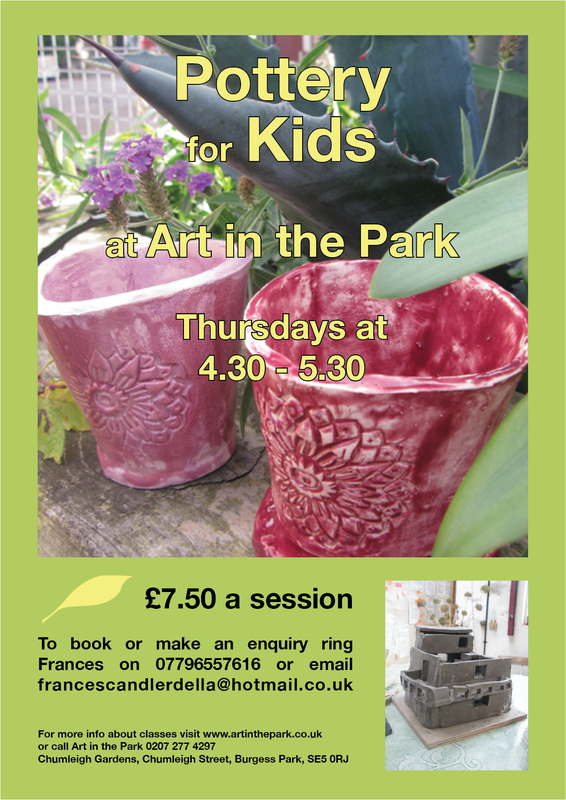 In response to a current project, our new ceramicist Mario has put together a series of small sessions for Art in the Park staff and artists to make some sample ceramics for it. Using leftover clay from previous projects (nothing goes to waste here! ), the first session involved molding the clay into the desired shapes. Before firing them up in the kiln, they have to be left out to slowly dry. To do this, we have alternated between covering them up in cling film and leaving them out in the open. More updates when it comes! The start of a series of new blogs on past projects from the same month! Art in the Park (AiP) have been involved with many projects in the past, many of which have not been documented or posted up. We are finally hauling out and sifting through our never ending folders of pictures (digitally that is!) to bring you the best of each project. The first of this month’s retrospective post is the Southwold Gate Project (2008) which was created together with AiP artists Andrea Sinclair and Bill Hudson and children from Southwold Primary School. 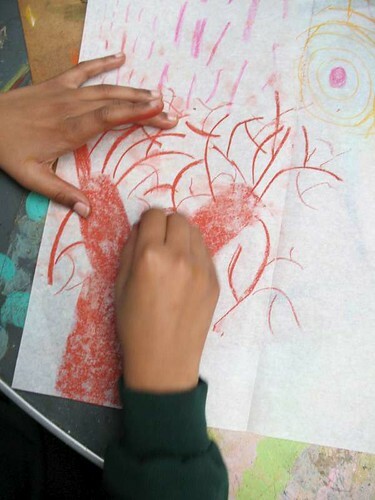 Inspiration derived from the different plant forms found on the Hackney Marshes, such as willows and rushes. 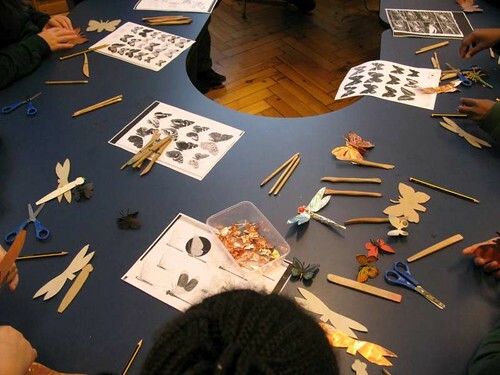 The first session with the children concentrated on possible designs and motifs for the gate. 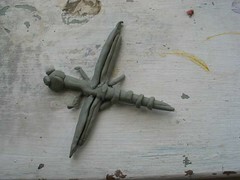 In the second session, the children crafted 24 3D insect forms in sculpting clay. 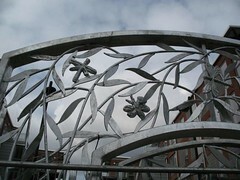 These were used to make 72 cast steel insects for the final installation. 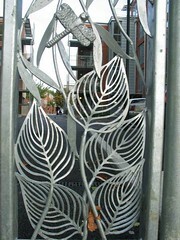 The final design of the gates was then put together by gate artist Heather Burrell working with AiP artists Andrea Sinclair and Bill Hudson. 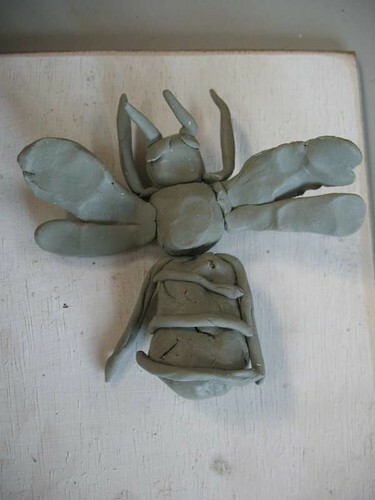 To prepare the 24 clay insects for casting at the foundry, the edges of the sculptures were made at 45 degrees, avoiding overhangs or very thin areas. The details were also exaggerated. Once the models were suitable, silicon moulds were made, then finally resin casts and patterns. Here you can see the final result and here for more pictures. 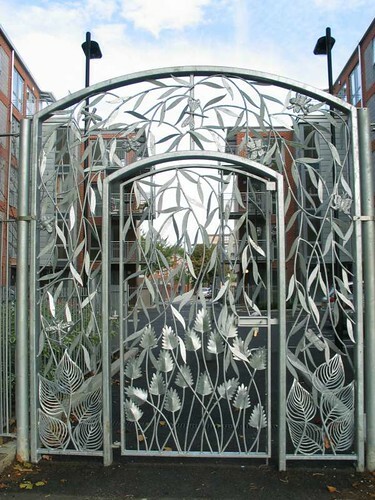 We did a similar project to this for Surrey Square School.